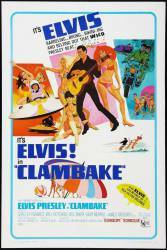 Factual error: In the final scene of the movie Elvis and Shelley Fabares are driving in his sports car along a seaside highway outside of Miami Beach. There are mountains along the coast in the background. There are no mountains in Florida. Continuity mistake: When Scott pulls into the gas station in beginning of movie the sign reads Heyward Oil but at the end of the movie when we see his drivers license it reads Scott Hayward. Continuity mistake: Elvis is water skiing with Shelley Fabares, who has long hair in her closeups; which then inter-cut with distance shots of 'her' with short hair. Scott Heyward: Will you check by the desk and see if that package arrived yet? Tom Wilson: First thing. If it's here I'll send it to you toot sweet. That's French for pronto.